Brock Lesnar walked into Chase Field as the WWE Universal Champion and he left around 10 minutes later with his Universal title. However, it appears that someone in WWE’s graphics department didn’t realize what title Lesnar had. As you can see, Brock Lesnar’s entrance was botched in a pretty important way. It’s very small, but we blew it up for you below to see what went down. 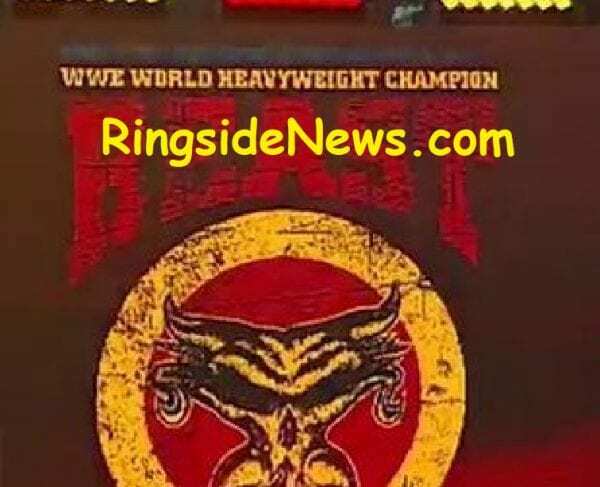 Brock Lesnar was mistakenly labeled as the WWE World Heavyweight Champion. That is not the name of his title. This is not even the name of a title that is currently defended in WWE after the unification on December 15, 2013. SmackDown has the WWE Title and RAW has their Universal Champion. However, this small botch could have confused some fans who like details.